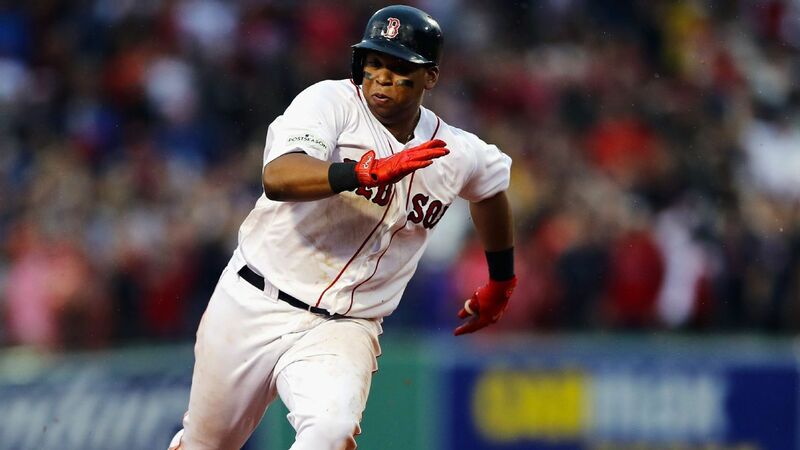 Still just 22, Rafael Devers has focused on getting in better shape and could be poised for a big year in 2019. A year ago, when writing this kind of article, one might have been able to identify Mitch Haniger as an up-and-coming young player. One might have been able to identify Alex Bregman, Brandon Nimmo, Whit Merrifield, Javier Baez and even — taking into account his nontraditional path — Max Muncy. All of those players are now coming off breakout seasons. There were reasons to believe in the upside of each of them. It was just a matter of spotting the right indicators. We’re forever enchanted by the breakout concept. Not that there’s anything wrong with a debut such as Ronald Acuna‘s, but relatively speaking, that was easy to see ahead of time. A breakout doesn’t usually apply to a rookie. It’s more about players who already have made a first impression. Thinking about breakouts feeds two desires of human nature: the desire to experience new things and the desire to see into the future. I’ve come up with 15 young position players who are breakout candidates for 2019. (We’ll look at pitchers in a future column.) Whether you think of them as breakout candidates or up-and-comers, I’m not sure there’s a meaningful difference. These are players who should play more significant roles than they have so far and, in certain cases, draw far greater national recognition. Some are names you already know, while others are likely unfamiliar. All of them, listed in alphabetical order, should have what it takes to have a big year ahead.